Weather in Spain in march 2020 - Climate, Temperature, Where to go? Spain in march: average Weather, Temperature and Climate, Where to go? How is the weather in Spain in march? Is it a good time to visit Marín and Estepona? Have a look at our datas and informations here. Below, find the the weather forecast for march for most popular cities in Spain. These datas are statistics for the month of march from weather reports for many years. The percentage indicates the possibility of having the weather indicated. Influenced by the seas bordering the Spanish coasts and by the geographical inland configurations, the climate throughout March in Spain varies from one region to another. Catalonia and the Atlantic coast are always marked by the freshness of the atmosphere, while in Andalusia, the climate is already pleasant. From the Costa Brava to the Costa Dorada, the weather is characterized by cold temperatures in the morning and cool ones in the middle of the day. Except the coast of Catalonia, the Mediterranean coast is pleasant because the rains are relatively low and the weather in Spain throughout March is already favorable for outdoor activities. Cold and relatively humid: March is not the appropriate month to visit the coastal cities of the Atlantic coast. With temperatures varying between 7° C and 15° C, the atmosphere is still cold and the passing hours do not help, with the arrival of fine rains. Despite the fresh morning temperatures, the weather throughout March in Spain, Andalusia, is already favorable to the practice of outdoor activities. Especially in the middle of the day, the association of warmth and the beautiful sunshine encourages the more impatient to frequent their favorite beaches. If in Seville, the morning freshness is quickly forgotten thanks to the rising temperatures over the hours in Madrid, the wearing of warm and pleasant clothes is still of importance, despite the fresh presence of the sun and the relative scarcity of precipitation. Generally, the weather is rather beautiful. Where to go in Spain in march? Where should you go in Spain in march when it comes to the weather? The climate in Spain in march ranges from good to bad depending on the region and city. You are lucky: Although it is not perfect the weather in Spain in march is quite good in Almeria, Córdoba, Roquetas de Mar, Andalusia, Valencia, Estepona, Cádiz, Torremolinos, Malaga, Costa del Sol, Marbella, Almuñécar, Sevilla, Cullera, Torrevieja, Alicante, Fuengirola, Tarifa, Nerja and Huelva. I allows to enjoy sightseeing in these cities. And even why not take a little time to enjoy the hotel pool! If you do not go for the sun or the beach, but, for example to discover the heritage, the cities of Madrid, Gijon, Gibraltar, Sitges, Estartit, Empuriabrava, Calp, Cadaqués, Begur, Santiago de Compostela, Rosas, Cambrils, Lloret de Mar, Calella, Catalonia, Pineda de Mar, Granada, Marín, Llançà, Bilbao, Peñíscola, Dénia, Tarragona, Vinaros, Toledo, Barcelona, Alcúdia, Benidorm, Girona, Malgrat de Mar, Blanes, Vigo, Zaragoza, Salou, Santander, Salamanca and Tossa de Mar have a just ok weather for it in march. Finally, avoid going because the climate is rather unfavorable. In the month of march, the mean temperature in Madrid is 13°C (maximum temperature is 16°C and minimum temperature is 10°C). The climate is quite cold around this city in march, but it is endurable by dressing warm. With 70mm over 10 days, you will experience some showers during your journey. But this is rather reasonably and it is only of temporary showers. With a correct climate, march is okay (but not good month) for traveling in Madrid in Spain. In the month of march, maximum temperature is 18°C and minimum temperature is 14°C (for an average temperature of 16°C). The climate is relatively fresh there in march, but it is endurable by dressing warm. With 64mm over 7 days, you will experience some showers for your journey. But this is pretty reasonably and it is only of temporary showers. With a good climate, march is a good month to go in this city. In march, maximum temperature is 17°C and minimum temperature is 13°C (for an average temperature of 15°C). The climate is rather fresh in this city in this month, but it is livable when dressing cosy. With 79mm over 7 days, rainfall can happen throughout your journey. But this is moderate and it will not be continuous. With a correct climate, march is okay (but not good month) for traveling there. 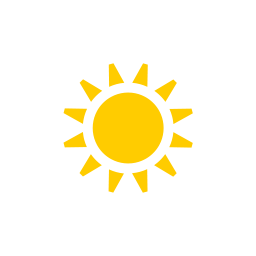 In march, the mean temperature in Costa del Sol is 16°C (maximum temperature is 19°C and minimum temperature is 14°C). The climate is quite cold there in march, but it is tolerable when dressing warm. With 83mm over 10 days, you will experience some showers during your trip. But this is pretty moderate and it is only of temporary showers. With a good weather, march is an advisable month to go there in Spain. In march, maximum temperature is 19°C and minimum temperature is 15°C (for an average temperature of 17°C). The climate is quite fresh there in the month of march, but it is tolerable by dressing warm. With about 51mm over 7 days, it rains very little for your stay. With a good weather, the month of march is a recommended month to go in Fuengirola in Spain. Weather data for Spain in march is derived from an average of the weather forecast since 2009 in Spain. There is a margin of error and these forecasts are to be considered as general information only. The weather in Spain can vary slightly from year to year, but these predictions should limit surprises. So you can pack your bags and check when is the best time of year to visit Spain.